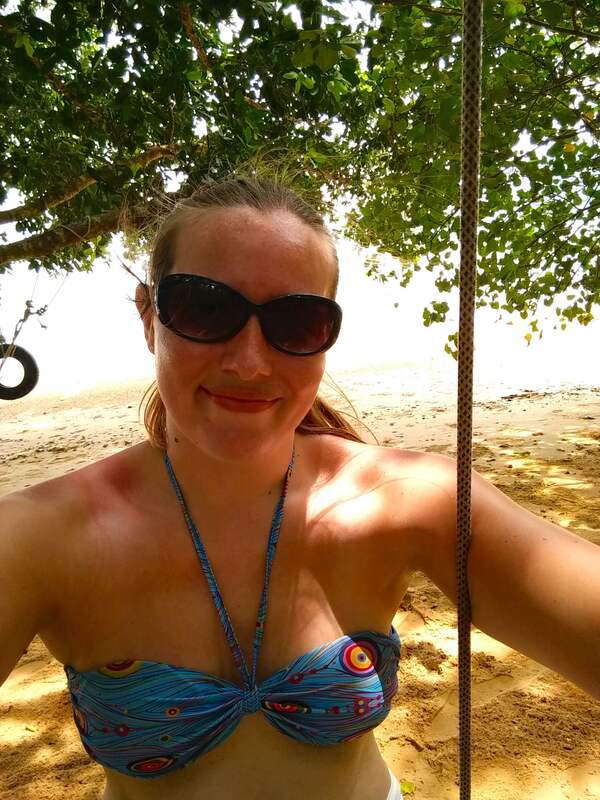 While I was staying in Ao Nang, Krabi I was working with Alisea Boutique Hotel and Aonang Cliff Beach Resort. 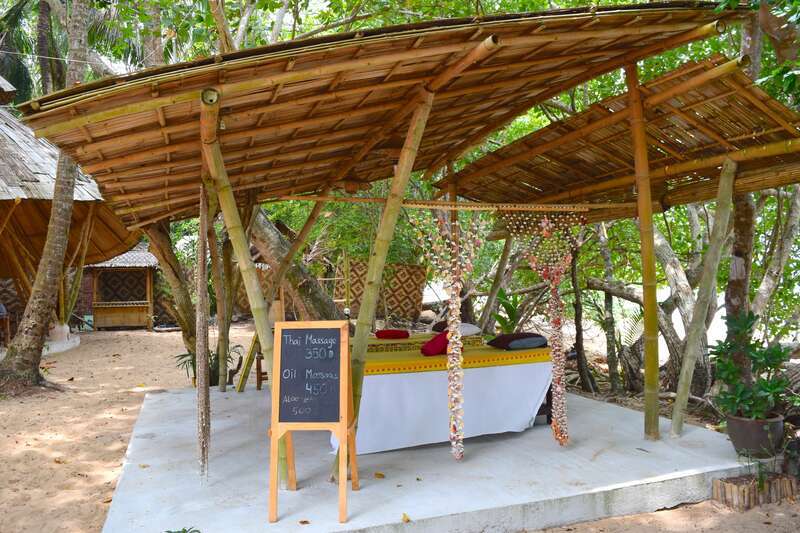 I’m so glad I was working with them because not only were they fantastic hotels but they introduced me to the amazing Andamana Beach Club. 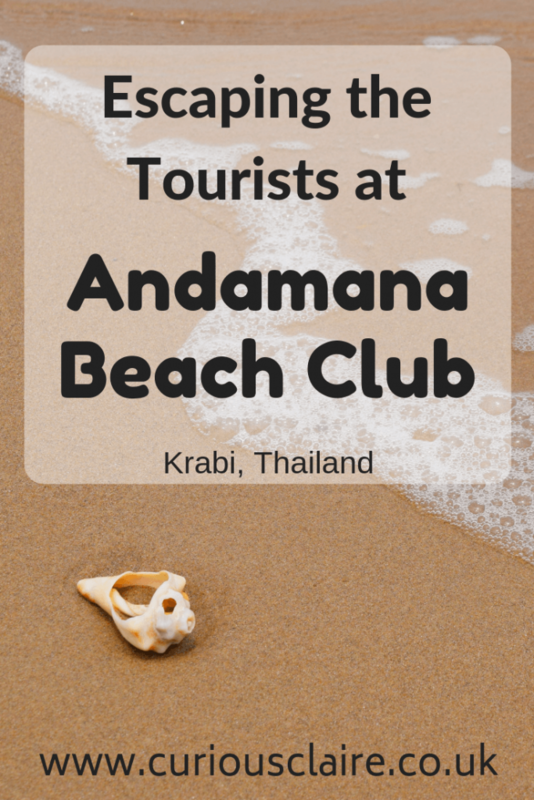 Andamana Beach Club is a public beach club that is a great alternative to the popular and often crowded Ao Nang beach. 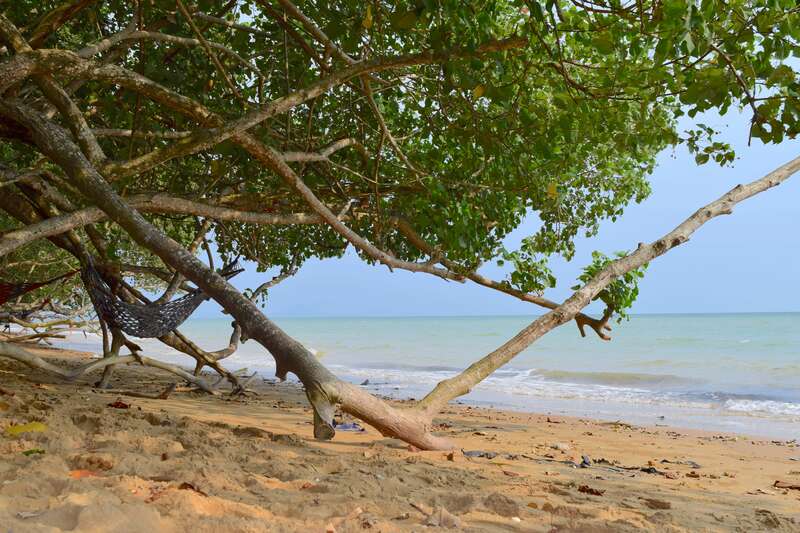 While you’re at Andamana Beach Club you almost feel like you’re on your own private beach! As soon as you arrive you feel enclosed in nature. 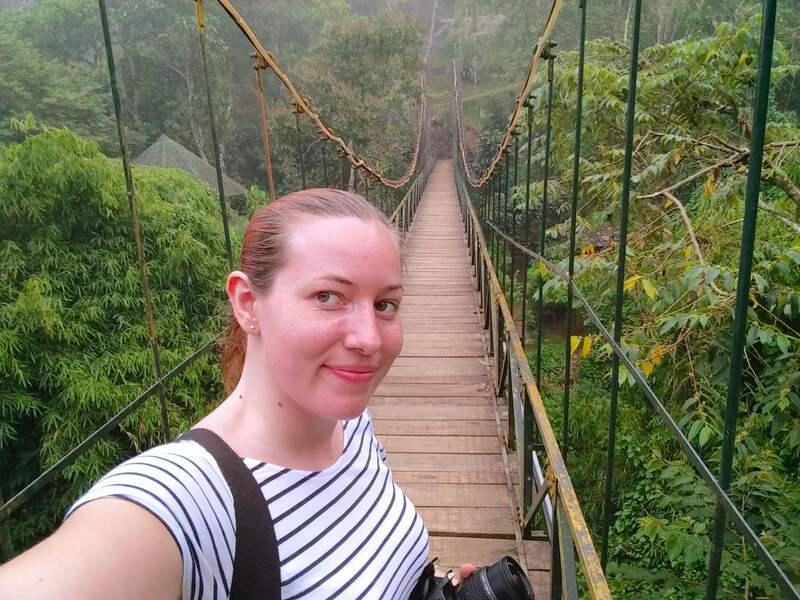 After being in the busy city of Hong Kong just days before it felt great to be back in nature. I instantly knew this was going to be a great place for a relaxing day. 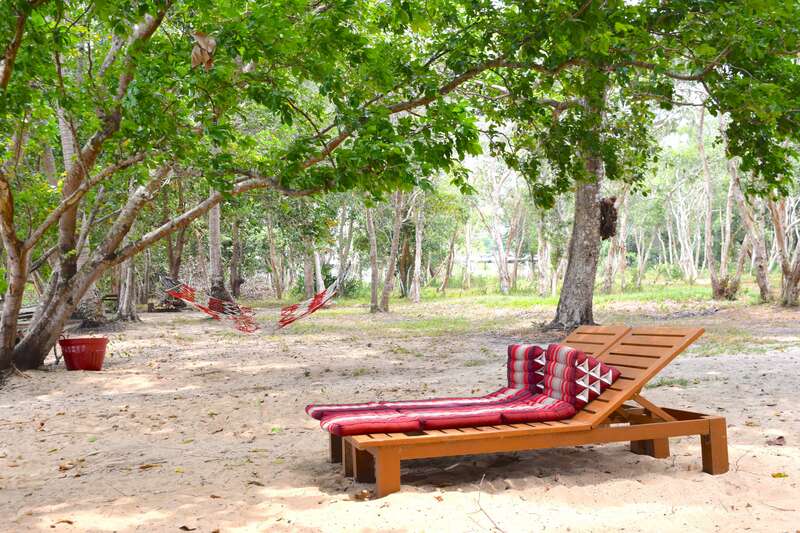 There are lockers and shower facilities available so you don’t have to arrive in your beach wear. Don’t worry if you don’t have a beach towel, there are plenty available! Once I had changed into my beach wear I was ready to check out this beach that had been so highly recommended by the hotel staff. As I approached the beach I could see a row of comfy looking bean bag loungers and snazzy looking hammocks laid out along the beach. 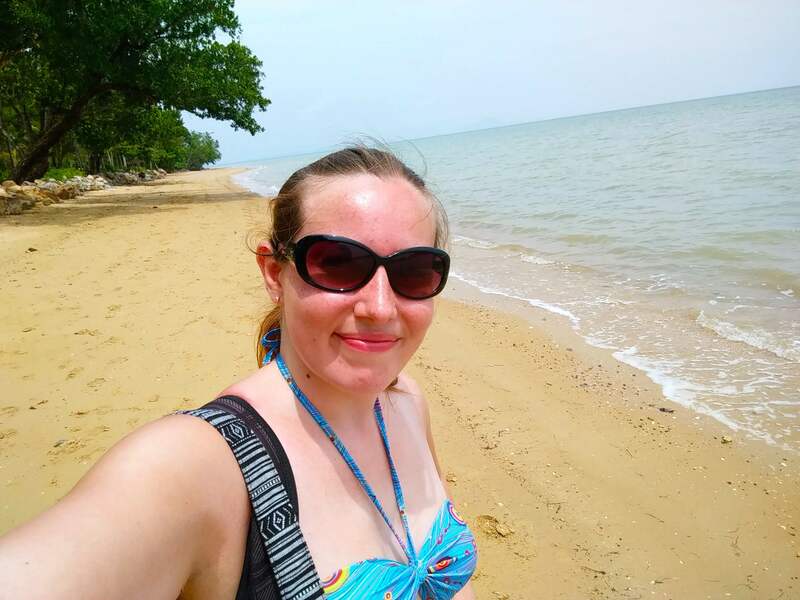 While I was tempted to spend the day in one of those hammocks under the shade of the mangroves, I couldn’t wait to go explore the beach. While walking along the beach I couldn’t believe how empty it was. There were a couple at the main hut organising their wedding, one guy enjoying a lounger and myself. That was it! The complete opposite to the crowded Ao Nang beach I had been to the previous day! 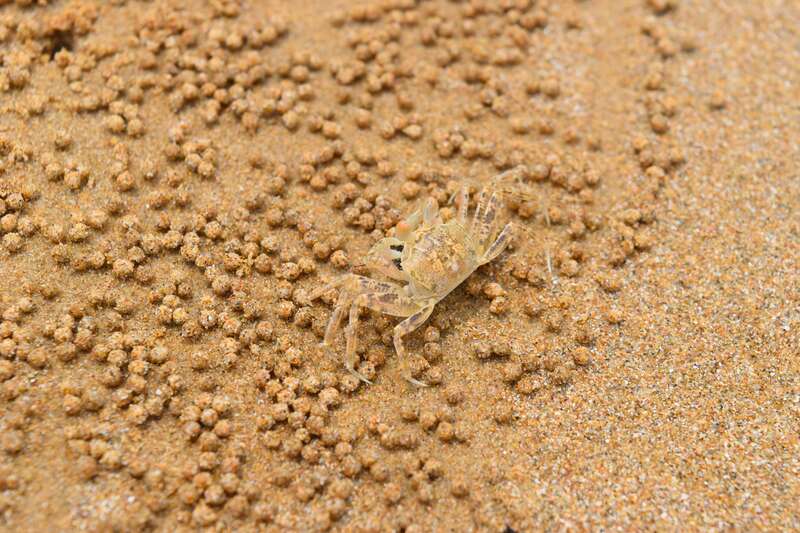 You can tell this beach doesn’t get walked on much by the fact the surface is covered in tiny sand balls made by the little crabs living on the beach. Don’t worry they are small and will run away as soon as you go near them! I was mesmerised looking at all the patterns that had been made in the sand by these little guys. I was having such a relaxing walk along the beach. After having recently spend 7 hectic days in Hong Kong it was nice to escape to paradise which was exactly what I needed! I was able to lose my thoughts and just enjoy the beauty around me. When I came across a swing in the trees I couldn’t resist taking a break from my walk. I forgot how nice it was to have a swing. After taking my break to enjoy the swing I headed back out to explore the rest of the beach. Along the way I came across a couple of local women digging in the sand. A reminder that I wasn’t actually alone on a deserted island! As I’m curious by nature I had to ask what they were doing. It turns out there were digging for shells. I couldn’t resist watching them at work for a while before moving on. As much as I was enjoying my walk, after strolling along for a while it felt like time to head back. 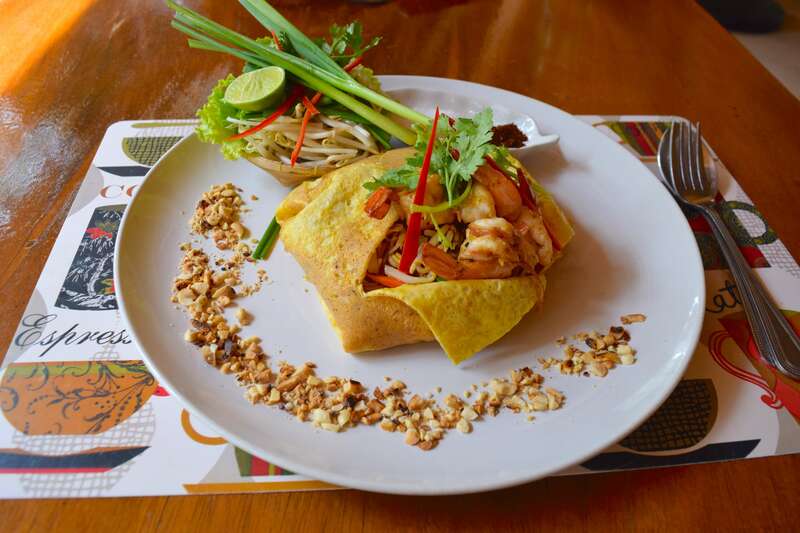 I had heard amazing things about the food at Andamana Beach Club so I was eager to return to taste their famous pad thai. 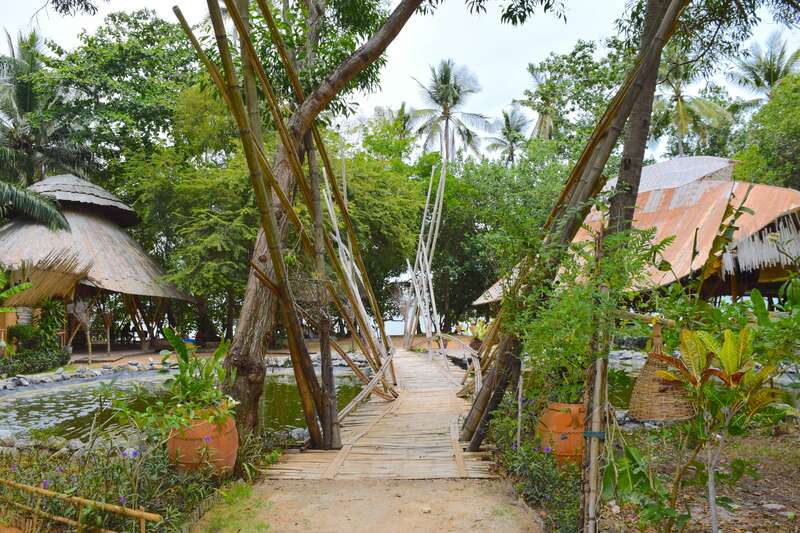 Once I returned to the main hut I got myself a beer and ordered the pad thai. When my pad thai was put in front of me I instantly knew I was in for a treat. Every pad thai that I had eaten so far in Thailand was part of the street food. For once it looked like I was going to have a more upmarket pad thai. It looked absolutely beautiful and certainly tasted as good as it looked! 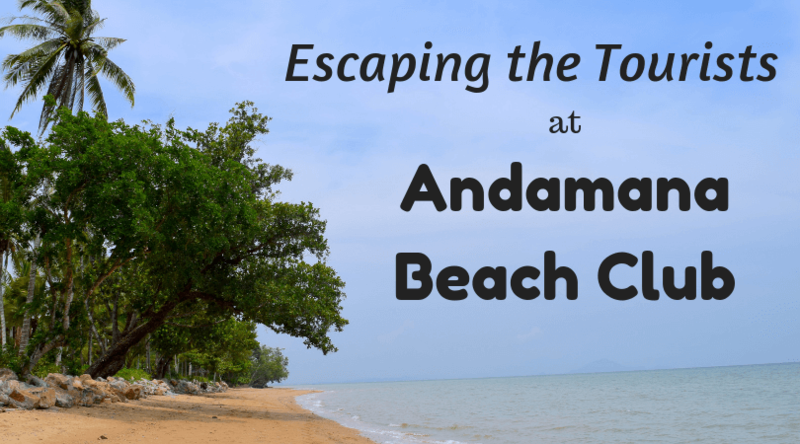 Where to Find Andamana Beach Club? 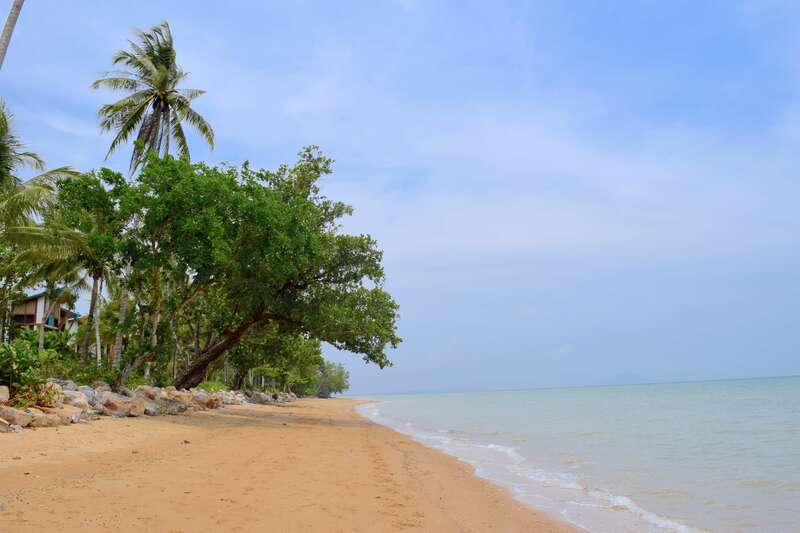 A free shuttle service is available to and from Ao Nang to Andamana Beach Club. 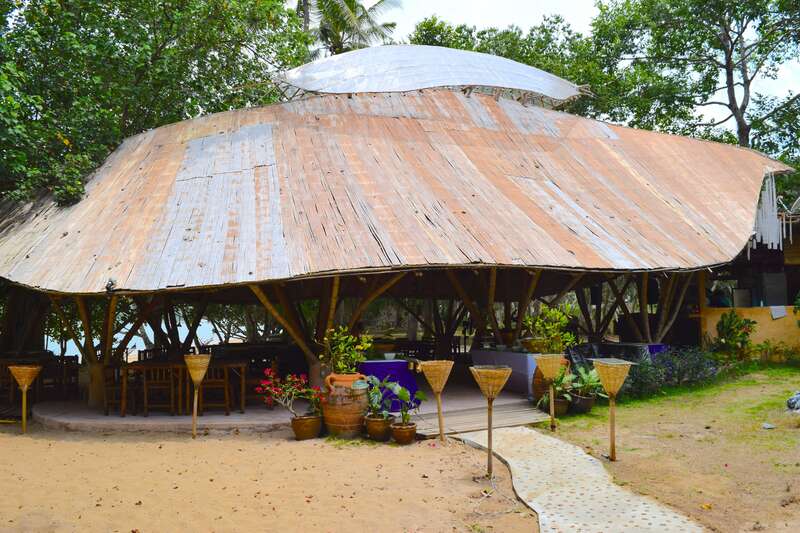 These can be found outside both Alisea Boutique Hotel and Aonang Cliff Beach Resort. Pickups from the hotels start at 9:45am and run every 2 hours until the last bus at 4:00PM. 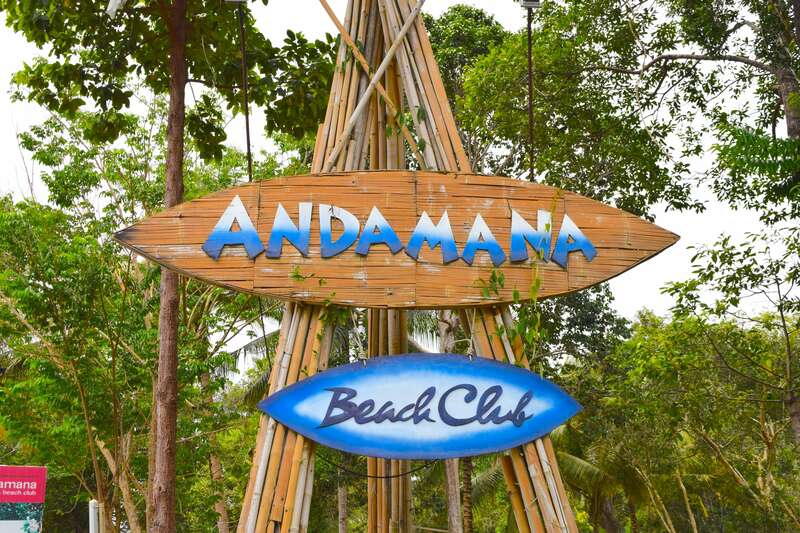 The buses depart from Andamana Beach Club every 2 hours starting at 12:15PM and the last bus leaves at 6:00PM.